Google is playing a risky game of monopoly as it leverages its search industry dominance to jump-start its products in other fields, like social networking. NEW YORK (CNNMoney) -- There's nothing illegal about being so big that you dominate a market. But when Google (GOOG, Fortune 500) unveiled a new feature last week called Search Plus Your World, some antitrust experts believe Google stepped over the line. Google's new feature risks abusing the company's dominant position in the search market to stifle competition from its rivals. That could be against the law. "Google runs a very high risk of being found in violation of antitrust and competition laws," said Ted Henneberry, a partner at Orrick, Herrington & Sutcliffe's antitrust group. "The issue raised by Google's new announcement is how it potentially increases its dominance and furthers its discriminatory treatment of rivals." Search Plus Your World tailors search results to each individual user by tapping into Google's social network, Google+. Search results now include Google+ posts and profiles. Noticeably absent from the feature are the much larger social networks of Facebook and Twitter, or any other social service. Google insists that its users benefit from Search Plus Your World, and that the company has no legal duty to boost its rivals' services. "The laws are designed to help consumers benefit from innovation, not to help competitors," said Adam Kovacevich, a spokesman for Google. Generally, that's true. Antitrust law does not stipulate that companies need to bend over backwards to help rivals. Even a monopoly has the right to develop new features and functions, and the practice of bundling products together is not in itself illegal. But legal experts say dominant companies like Google are, in fact, required to go out of their way to ensure fairness to competitors. "As a rule, a company can favor its own products over someone else's, but there are limits to that general rule when a company is a monopolist," said Sam Miller, a partner at Sidley Austin, and the former lead prosecutor for the United States in one of its first antitrust cases against Microsoft. Sidley, ironically, counts Microsoft (MSFT, Fortune 500) as a client, though Miller is not currently involved with any cases for the software giant. 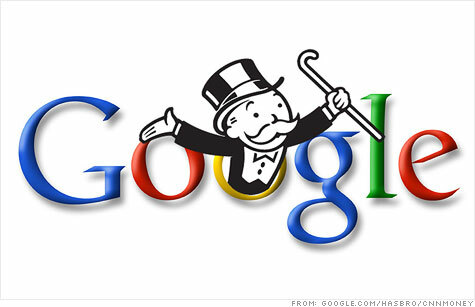 Is Google a monopoly? With control of two-thirds of the U.S. search market, according to comScore (SCOR), experts say it is legally within the realm. "Market share is short hand for whether a company has monopoly power, and 65% or more is a good indicator," Miller said. "That level gives a company the ability to keep prices above competitive levels." At a Senate antitrust committee hearing in September, Google Chairman Eric Schmidt acknowledged that Google's market share is "within that area" of being monopolistic, though he said he'd prefer to "let the judges ... actually do such a finding." If Google were to be considered a dominant firm, cutting Facebook and Twitter out from its new search service could be seen as an anticompetitive -- and illegal -- act. Google claims that there are technical limitations that curb its ability to include competitors' content in Search Plus Your World. The company says Facebook and Twitter, for instance, do not let Google crawl their sites for information. Google once partnered with Twitter and featured tweets in its "real-time" search results. That alliance ended in July, when Google's contract with Twitter expired. Meanwhile, Facebook is searchable exclusively on Microsoft's Bing engine. Google's Kovacevich said Google is "looking to include additional types of content in Search Plus Your World in the future." Antitrust experts say that's besides the point. By bundling search with Google+, Google is, in effect, requiring companies to join Google+ in order to get placed highest in its search results. Facebook and Twitter are shut out of that process. Locking out competition is among the potential violations that the Federal Trade Commission is currently investigating in its ongoing probe of Google. The company first made the antitrust probe public in June. "Antitrust authorities grow concerned when a company's success is achieved or maintained by cutting out rivals," said Jeff Schmidt, a partner in law firm Linklaters' competition and antitrust practice. Schmidt was formerly the director of the FTC's Bureau of Competition. Until he left in 2008, he led the regulator's oversight of Google. When issues of competition arise, Google frequently counters that there is plenty of competition on the Internet. As the company often states, rivals are "just one click away." "We believe that our improvements to search will benefit consumers by better surfacing social content," said Google's Kovacevich. "The great thing about the openness of the Internet is that if users don't like our service they can easily switch to another site." But some legal experts say it's not quite that simple. Microsoft's decade-long, bogglingly complex series of antitrust battles left reams of tech industry case law in their wake. "Antitrust theories launched in the Microsoft litigation are destined to give Google trouble, at least in the short run," said Keith Hylton, antitrust professor at Boston University's school of law. Google could also have a hard time proving that its new service is beneficial. Reaction so far has been tepid at best. "If it's in the consumer's best interest, it's not damaging to competition," said Eric Goldman, director of the High Tech Law Institute at Santa Clara Law School. "But by adding all that stuff to its search page, that's not necessarily helpful. If we lose faith in Google's motivation, we begin to question why they've done what they did."